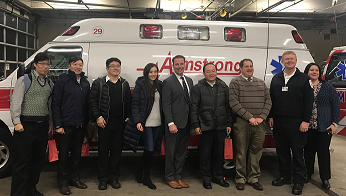 Armstrong Ambulance Service was honored to welcome a command staff delegation from the the New Taipei Fire Department from New Taipei City, Taiwan on December 11th. New Taipei Fire Department provides EMS Emergency Ambulance service to a vast urban to rural region encompassing Taipei and respond to ice 180,000 emergency ambulance requests per year. The New Taipei Fire Department executive command delegation is visiting the United States to learn more about US EMS systems, including electronic patient care reporting systems and share their experiences in operating a sophisticated all hazards high volume urban emergency and disaster response service in Taiwan. The delegation toured Armstrong’s headquarters in Arlington, exchanged gifts with owner Gale Brady and were briefed on Armstrong operations by CEO Rich Raymond and asked and answered questions about EMS systems in the Boston area and USA as compared to Taiwan. Also among the Armstrong team which organized and presented to the esteemed group was Director of Clinical Integration, Ben Podsiadlo, Director of Operations, Mike Kass, Field Operations Managers, Sean Mangan and Victor Marchese as well as Paramedic, Jason Viens. It was a unique honor and pleasure to meet colleagues and share ideas and experiences with fellow EMS professionals from across the globe. Armstrong thanks our partners at Zoll Medical for extending the exciting opportunity to meet with the New Taipei Fire Department delegation. 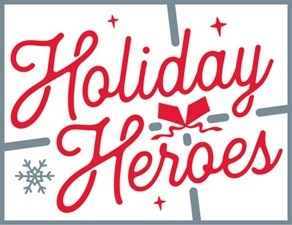 At the end of this year, we would like to take a moment to highlight two “Holiday Heroes” for their actions which went far above the call of duty. This year, Jason arrived at Lahey Clinic to transport a patient to Saugus. Once on scene, the patient’s nurse, Sarah, said that the patient needed to wait about an hour for her prescriptions to be ready. Even though this entailed Jason getting out late, he happily stayed with the patient and waited. The patient was from Puerto Rico and has been here since last year when her home was destroyed by the hurricane. She had no money to cover the cost of the copay for her prescription so Jason and Sarah paid the copay for her from their own funds. Jason humbly and quietly made this gesture on his own. We were only made aware of it through an appreciative comment made by Lahey Senior Management during a meeting. Brianna picked up a patient at Health South New England Rehabilitation Hospital to take to Logan airport. We were told that all arrangements were made for when the patient arrived at Logan. Upon arrival at Logan, Brianna found that was not the case and had to solely figure out how to get this patient to a wheelchair that was not provided. She calmly found assistance and safely transferred the patient to the airport’s wheelchair. Additionally, this patient did not have funds to pay for his bag to be checked and Brianna paid for it on his behalf. During the process, the patient was upset and anxious as it was a difficult transition for him, yet Brianna calmed him and assured him that she would make sure that he would be all set for his flight and be taken care of. Brianna subsequently recruited the help of an airport employee who then took the patient safely to his gate. These two acts of kindness and compassion are what Bill Armstrong believed in and worked every day to make happen. Thank you Jason and Brianna for your incredible spirit and dedication. You’ve made these patients feel safe and well cared for as well as made all of us at Armstrong very proud! Talk about a special transport! 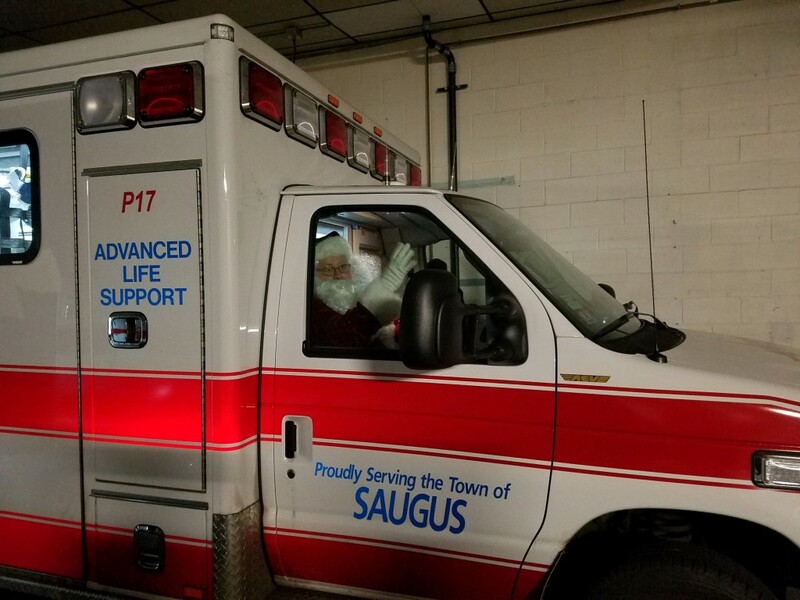 Thanks to our Saugus crews who made sure that our jolly passenger was delivered safely in the Armstrong sleigh to all of the excited boys and girls!